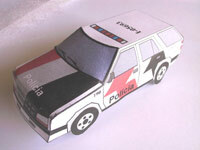 This is a police car from Sao Paulo State - Brazil. 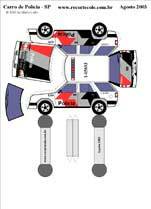 Download freely the PDF file and get this model. If you want a smaller and simpler police car, click here. 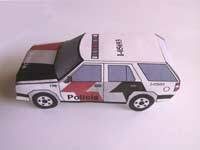 Click to download the Model PDF file (119 Kb).